Network functions virtualization (NFV) has the potential to revolutionize the way communication service providers create and deliver services. However, many providers struggle to modernize while meeting customer demands. 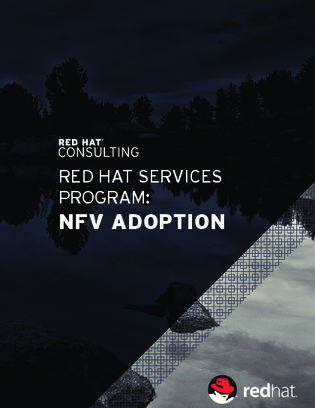 Find out how you can simplify NFV implementation with Red Hat Consulting’s NFV adoption program, which is designed to help you establish the architectural and operational foundation to effectively deploy virtualized network functions (VNFs).